It’s almost always a dull day in Feb, but unlike many “northern” places, and unlike last year, this dull Monday is mild, as has been the whole winter season. 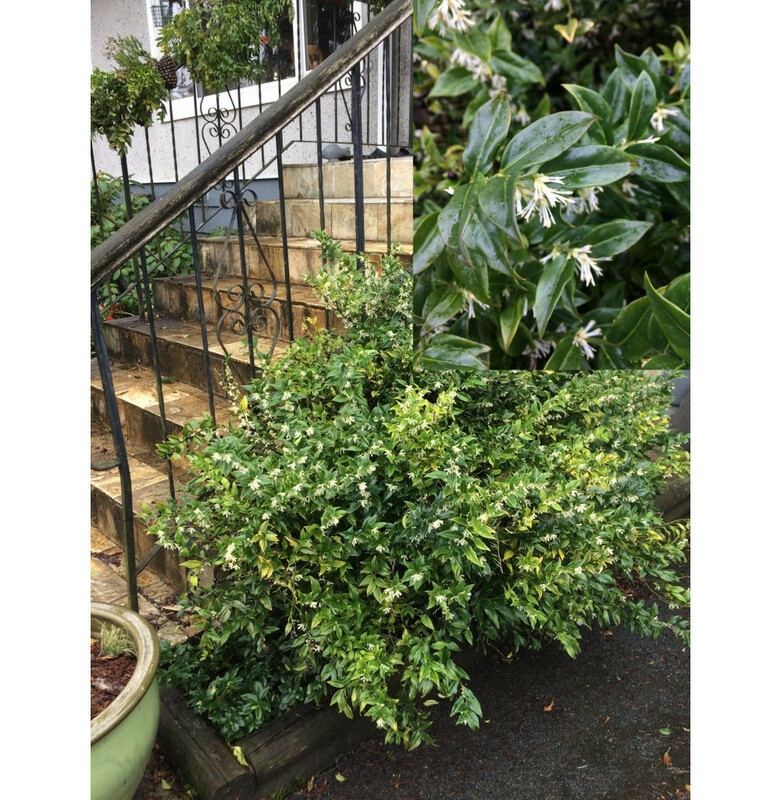 Sarcococca–spectacular fragrance at my front door. 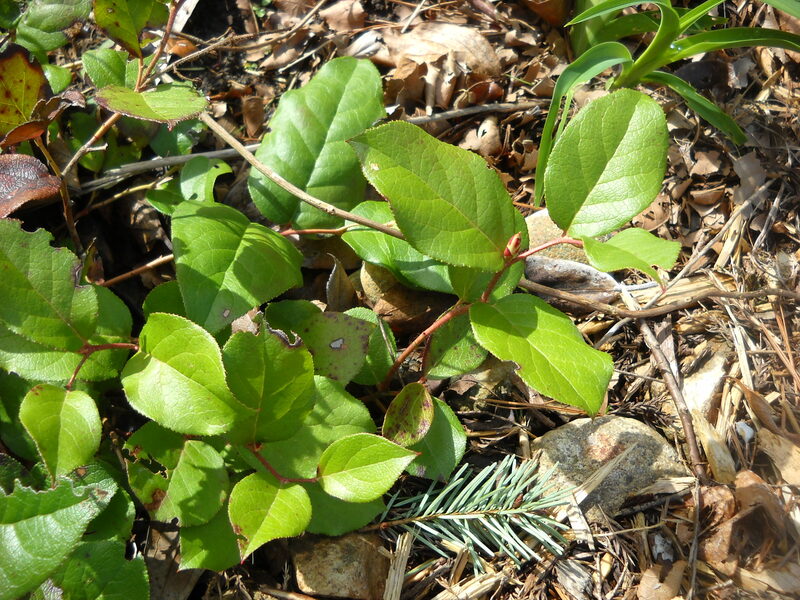 You can imagine how adaptable Sarcococca is: it’s growing in never-amended soil, between concrete and asphalt, in a bed that is 12″ wide and about 9′ long. 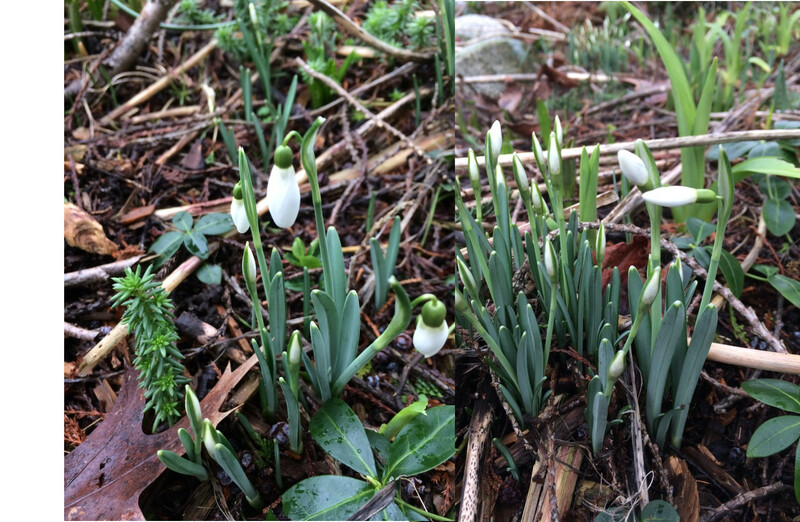 There’s really nothing like seeing big red or white or creamy green clumps of hellebores sprouting up through mounds of wood chip mulch! 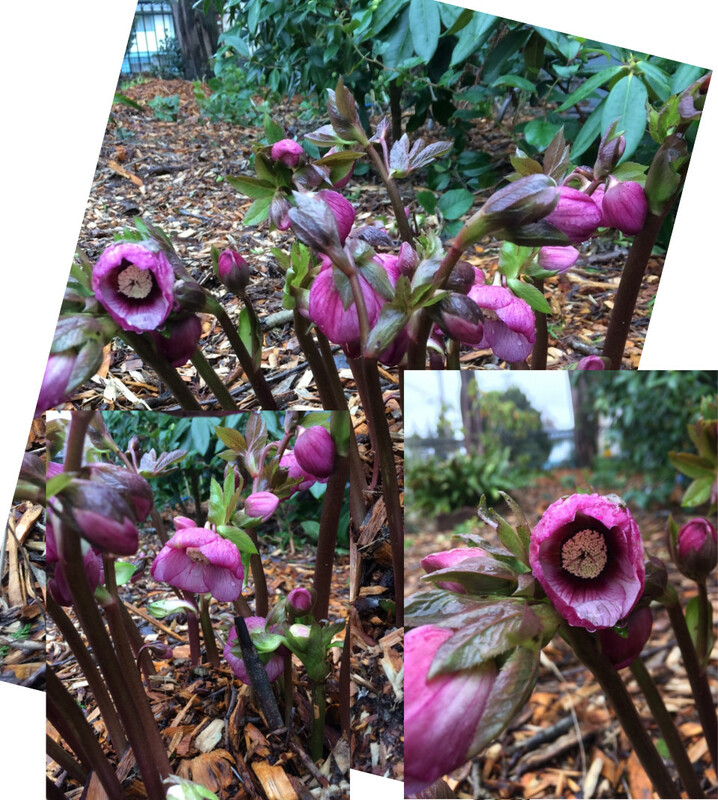 Helleborus Spring Promise ‘Elly’. 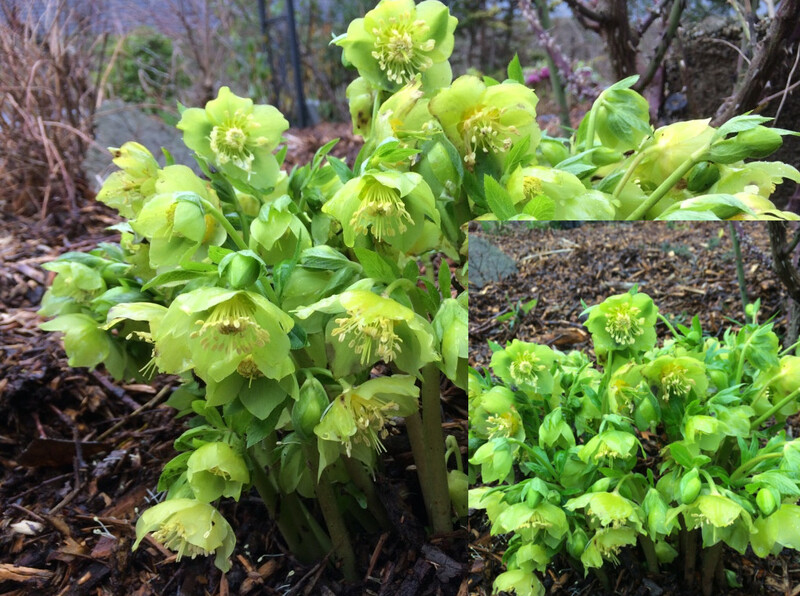 Spring Promise is a series from Helleborus Gold Collection. 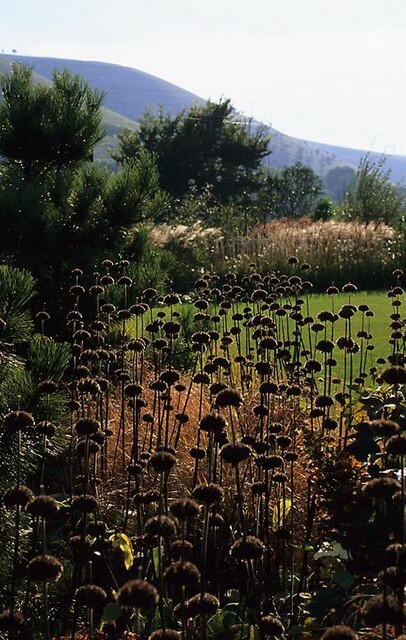 Most have a very upright flowering habit. 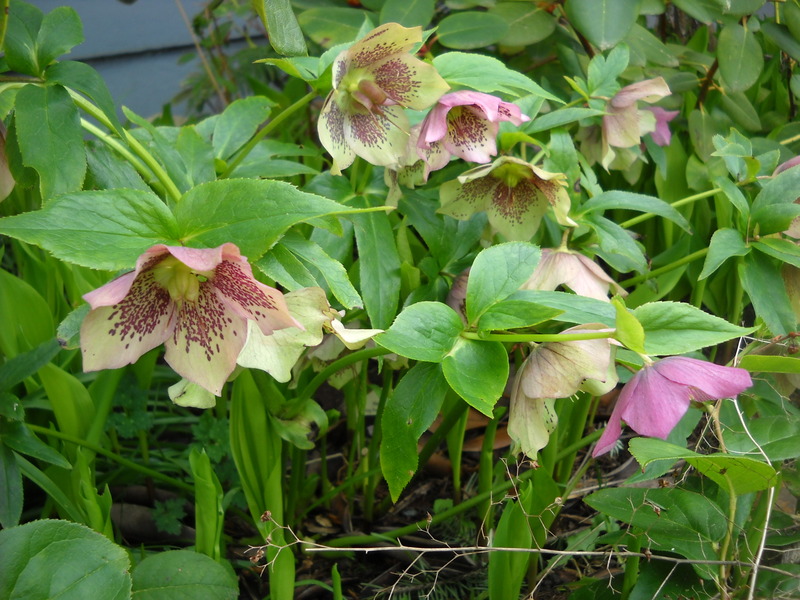 Another untagged hellebore. Can’t even find a google image that has the same colour and petal (actually sepal) shape. 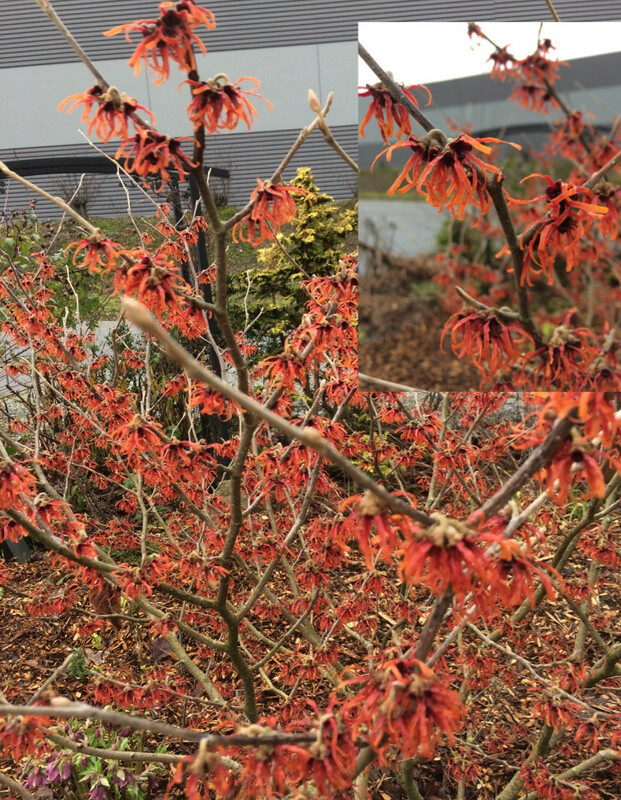 Now here’s a shrub/small tree that no one should be without–Hamamelis–Witch hazel. ‘Diane’ isn’t very fragrant, but she makes up for that lack with outstanding colour. It would be even better if the background weren’t so dull. 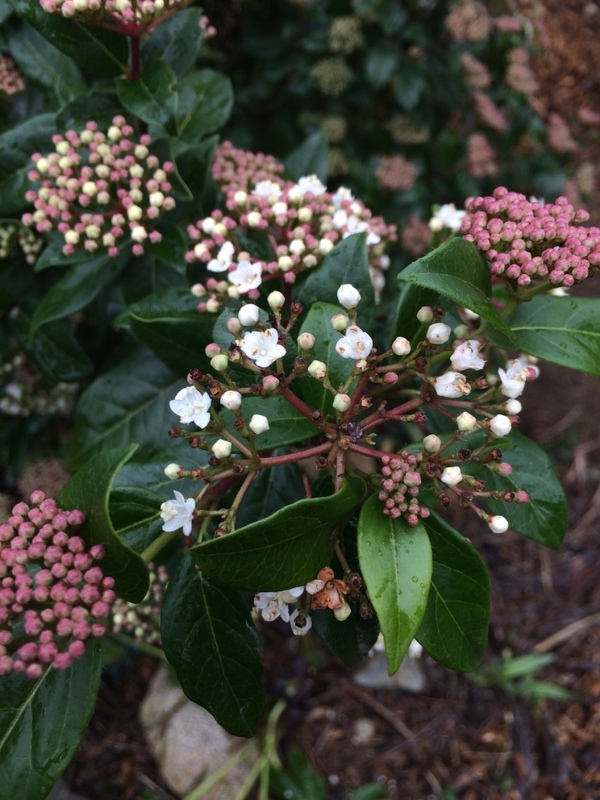 If you have snow on the ground, you’d appreciate those little spidery flowers much more. 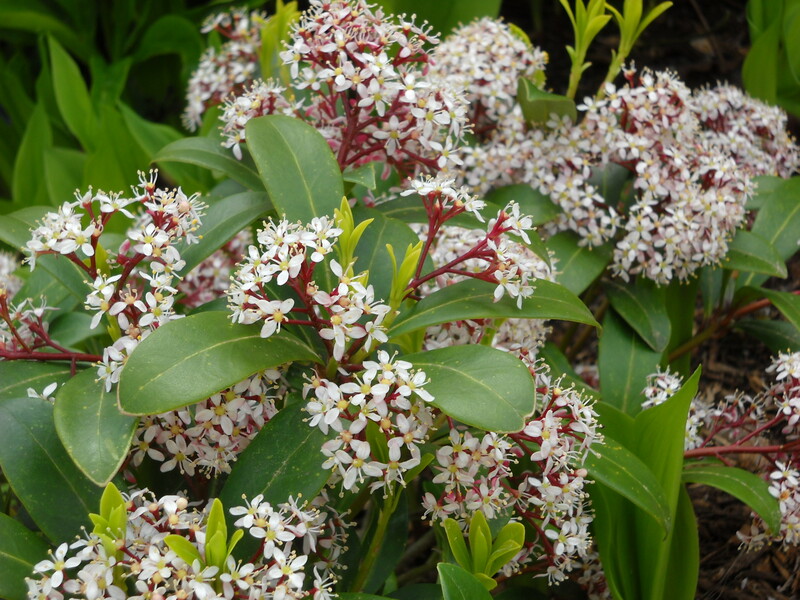 Two alternatives both for a climate like mine, and for fragrance, are ‘Arnold’s Promise’ and ‘Pallida’. 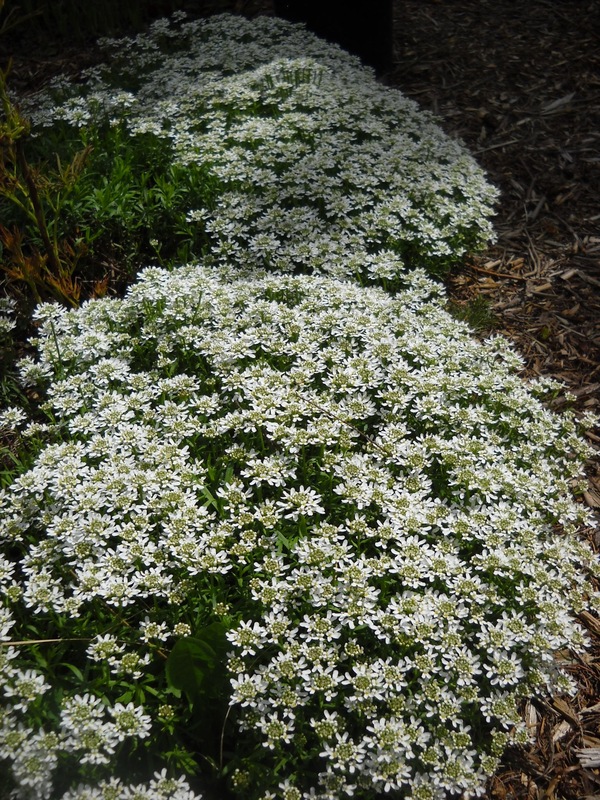 Both have light-coloured (creamy white to yellow) flowers, so they show up better against the brown ground, and they are wonderfully fragrant. When I bought ‘Diane’ it was billed as ‘fragrant’, but it’s not at all. 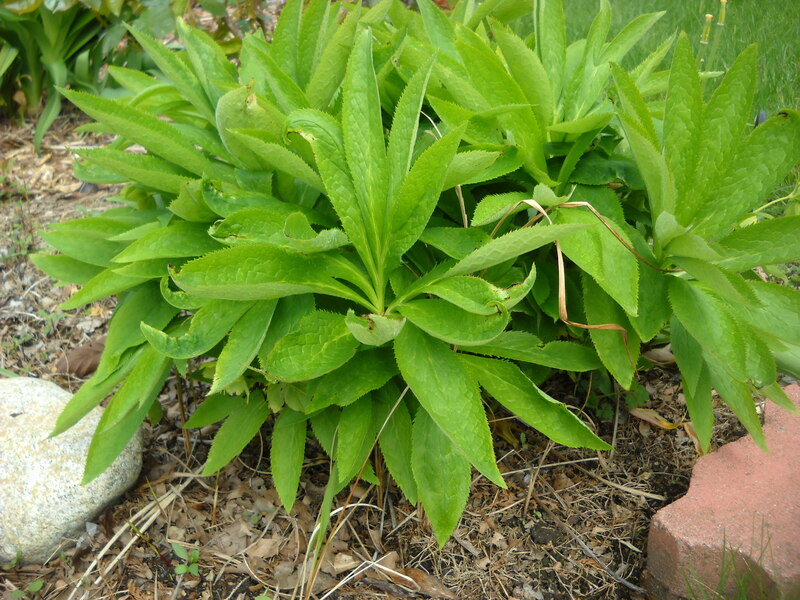 Maybe I should splurge and find room for ‘Pallida’. I was at a garden clinic on Saturday, where a couple asked about what they might plant in their window boxes. As I think more about it, I’d give them different advice now than I did on Saturday. Not that my advice was necessarily wrong, just not the best for what they actually wanted. 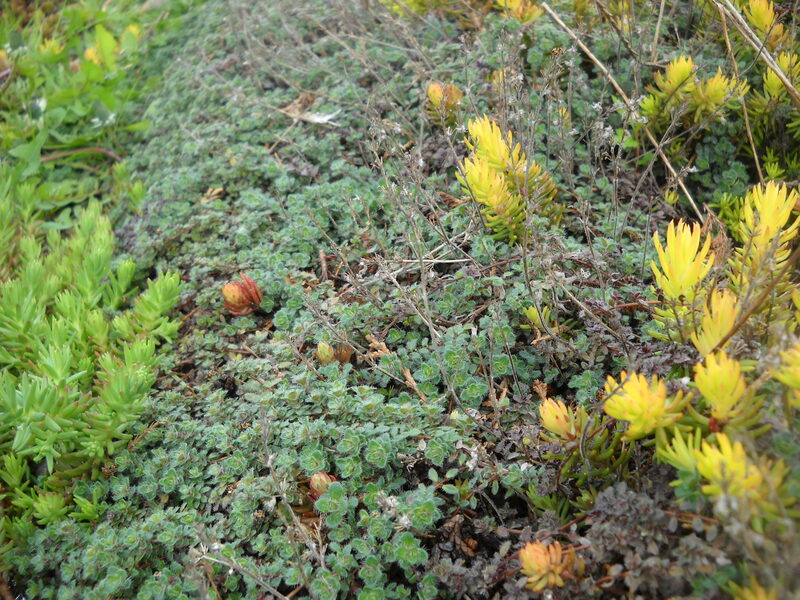 Their window boxes are LONG–6′ and 8′, and of course, only 8″ tall and 8″ deep. 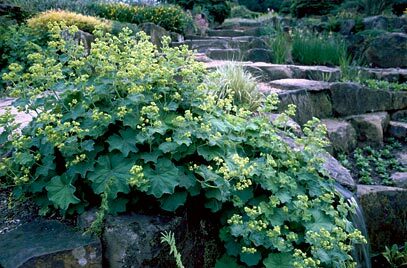 The location is north-facing, which means light-to-moderate shade (no direct sun, but nothing but the house casting shade), and they didn’t want to obscure too much of the outlook/view from the window, so preferred plants that would mature no higher than about 18-20″. And they wanted flowers. Oh, and they didn’t water very well, so they were hoping for plants that were drought tolerant. That was one tough challenge! 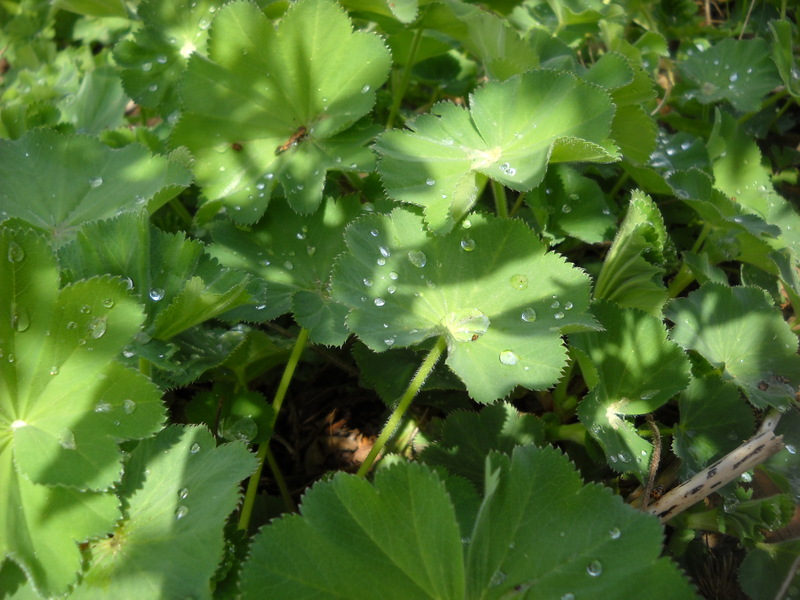 I was able to disabuse them of the notion that they could get by without watering. 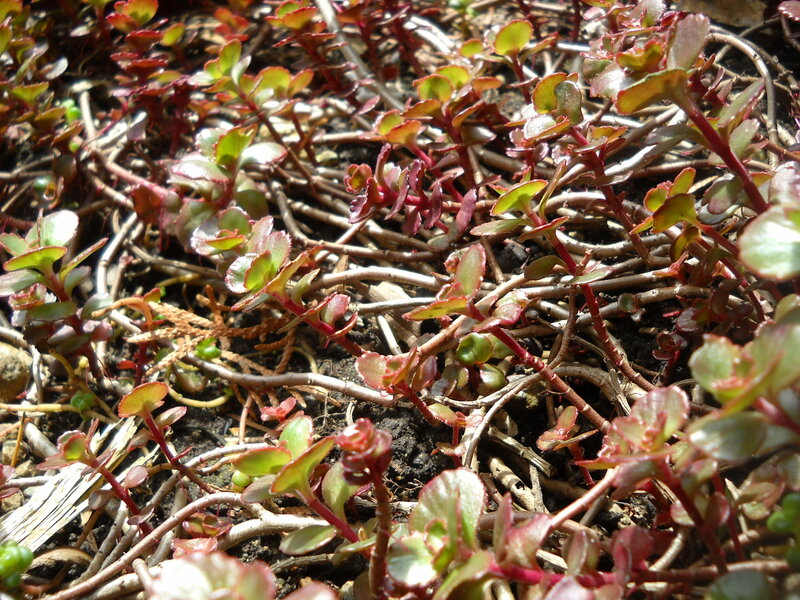 Drought tolerant plants are generally only drought tolerant (not necessarily drought-loving) after a year or two of growth with infrequent but deep watering so that the roots grow deep to search for water. This isn’t possible in a container that’s only 8″ tall. Happily, they resolved to be more diligent with watering. However that didn’t by any means solve all their problems. 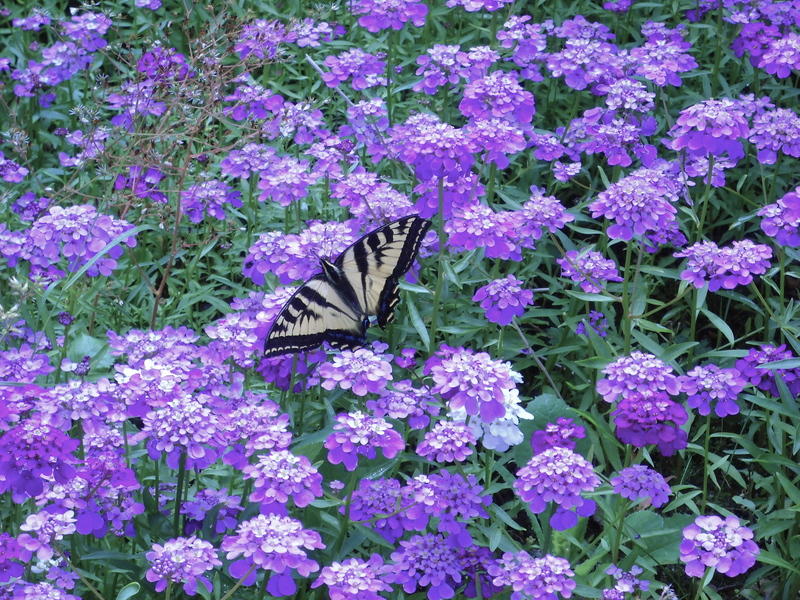 In order to have all season flowering (in any garden), you have to have a range of perennials that have different bloom times. 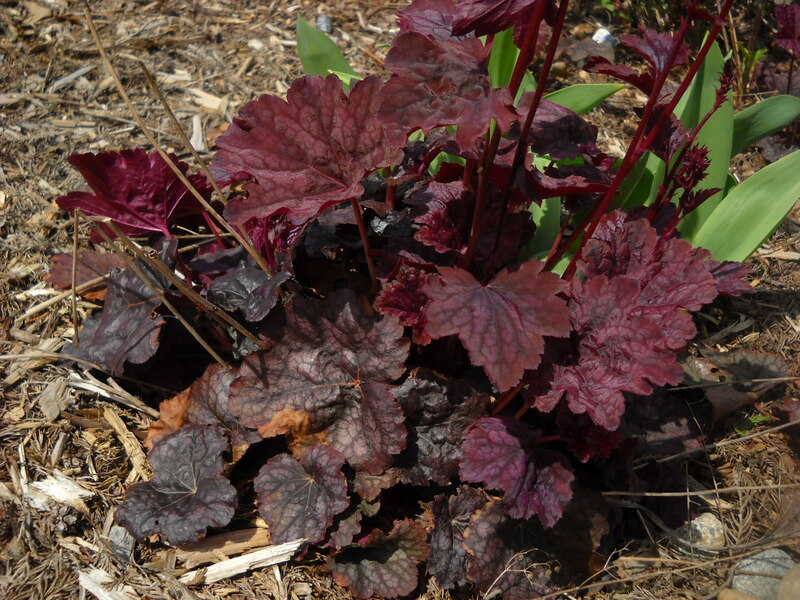 Most perennials will only have a 2-8 week bloom period. 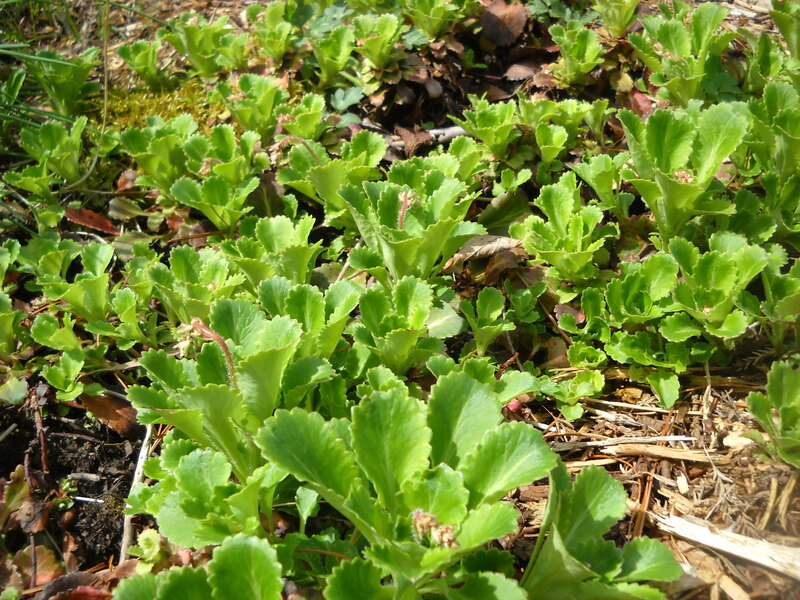 And the fewer individual plants there are, the shorter will be the bloom time. 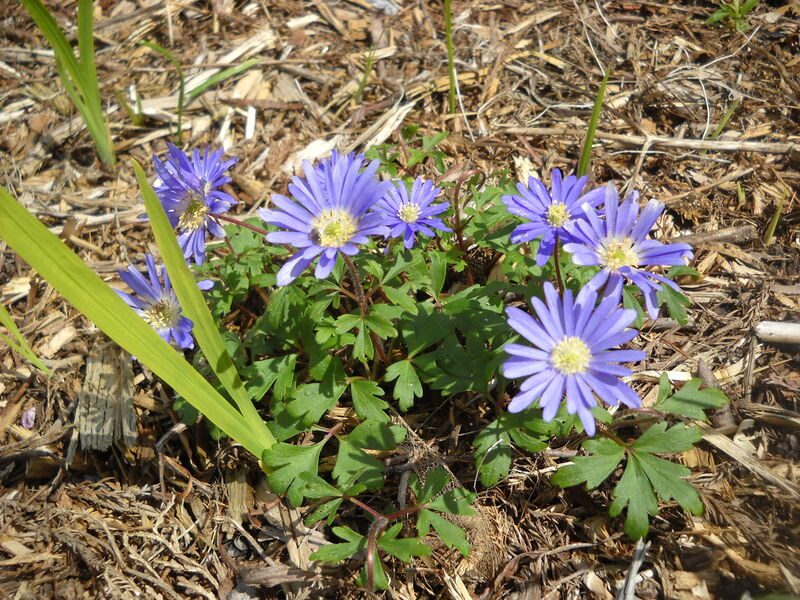 For example, the anemone blanda in my garden started blooming (with one flower) in mid-March, and is still blooming now. 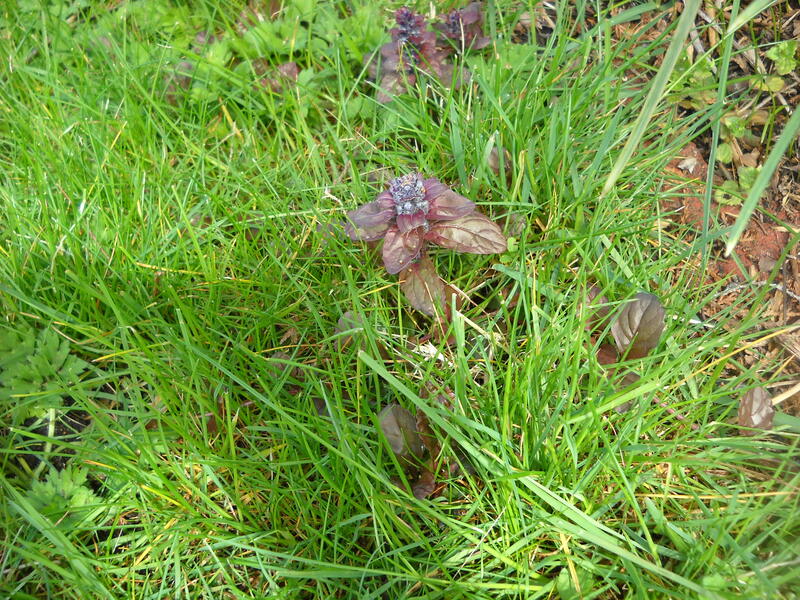 But that’s because they are scattered all over the garden, and they don’t open all at once. Each flower only last a few days. 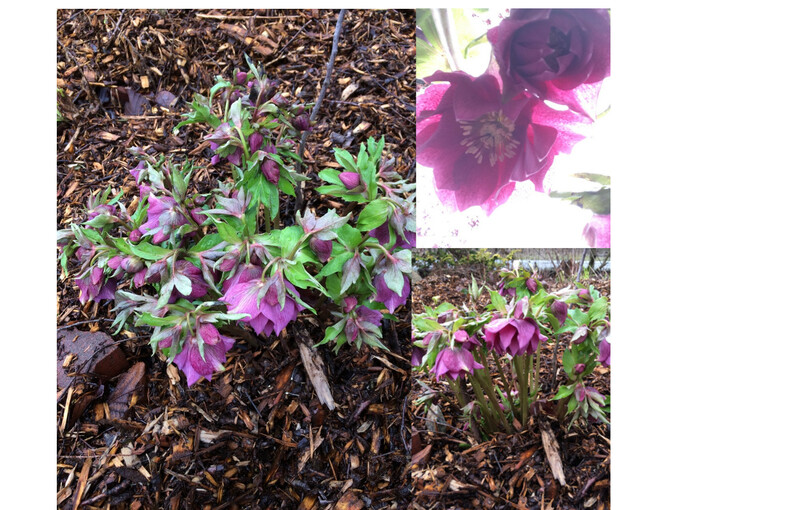 Hellebore–don’t know what cultivar. 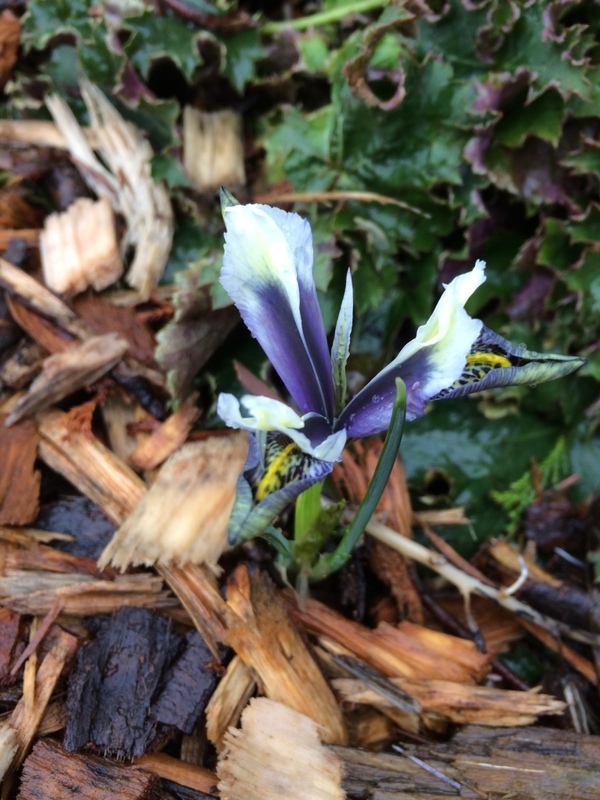 This is one of the earliest bloomers–probably early February, and you can see, end April, still looking great! Having all season flowering in a small space pretty much requires annuals. They have such a short life that their chief mandate is to produce tons of flowers and then set seed to ensure propagation of the species. That’s why petunias, geraniums, salvia just keep blooming and blooming. 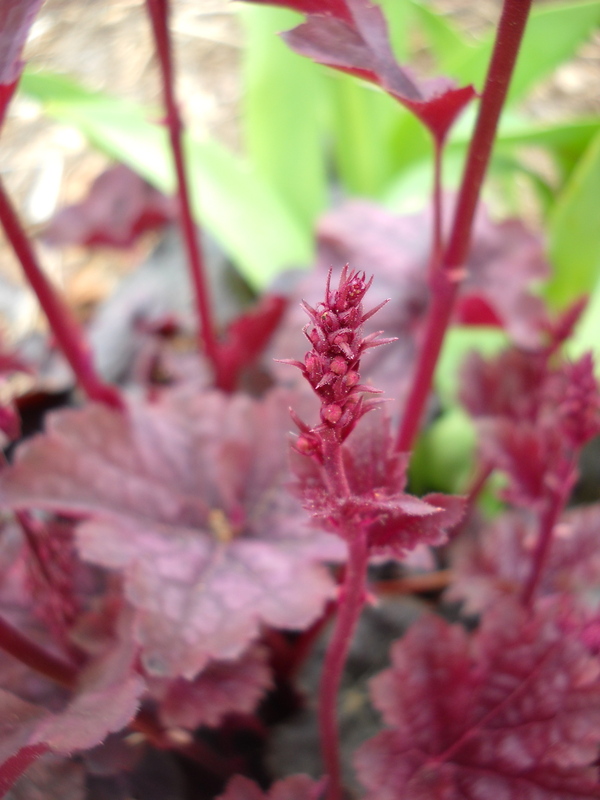 (You can improve even vigorous bloomers by deadheading to prevent seed-set.) And it was annuals that I left out of the equation on Saturday. We were at a perennial nursery, so there weren’t any annuals there anyway, but I obviously didn’t have my thinking cap on. 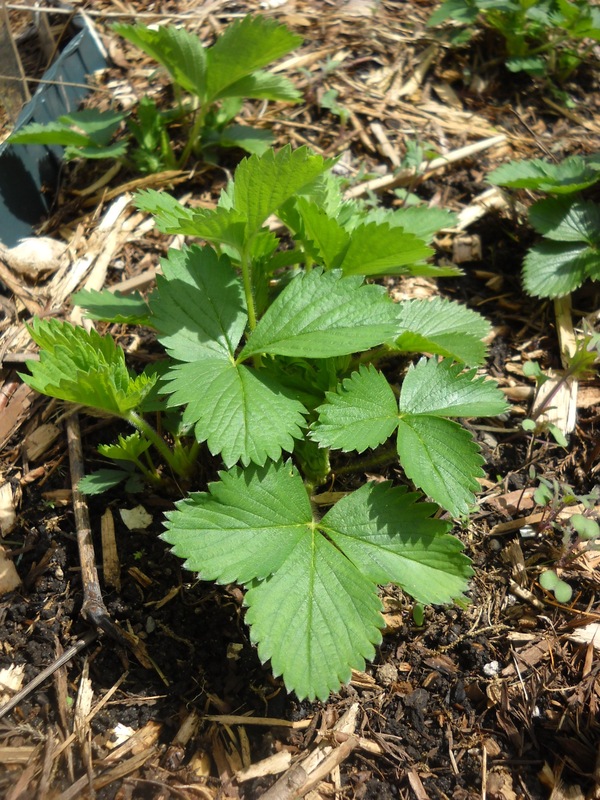 Now if you’re willing to water and forego continuous flowering, the perennial options for a long narrow widow box are more numerous than you might imagine. And no shortage of colour, as you’ll soon see. I don’t personally care for the “stripey/checkerboard” look of a lot of window box designs, with alternating colours (red geranium-bue lobelia-geranium-lobelia, and a few trailers for variety), and unless you want a formal look, I also don’t care for a symmetrical planting. 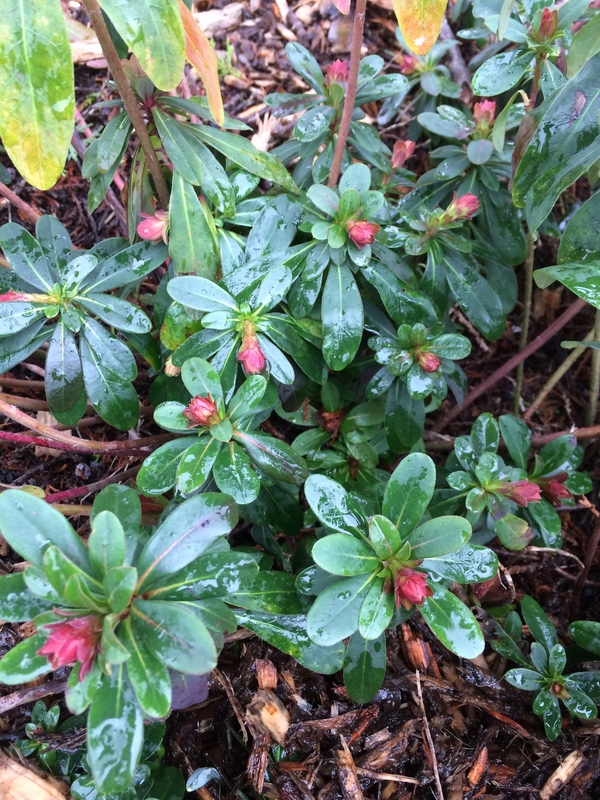 For this Kitsilano couple, I recommended a planting that has a “wavy” profile, starting tall at one end, then short, then mid-height, then short again by the other end of the planter. 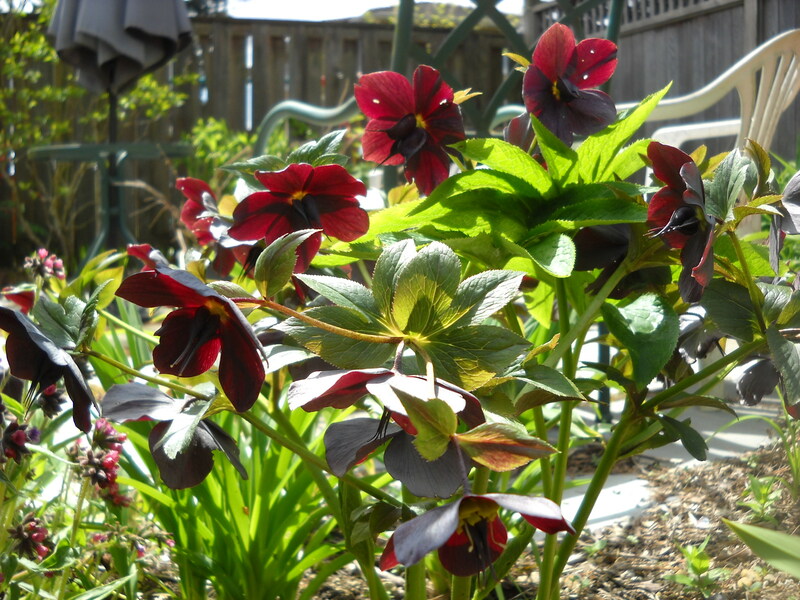 And rather than have a lot of different varieties, they should consider having several plants of few varieties. Remembering they had 6′ and 8′ to fill. 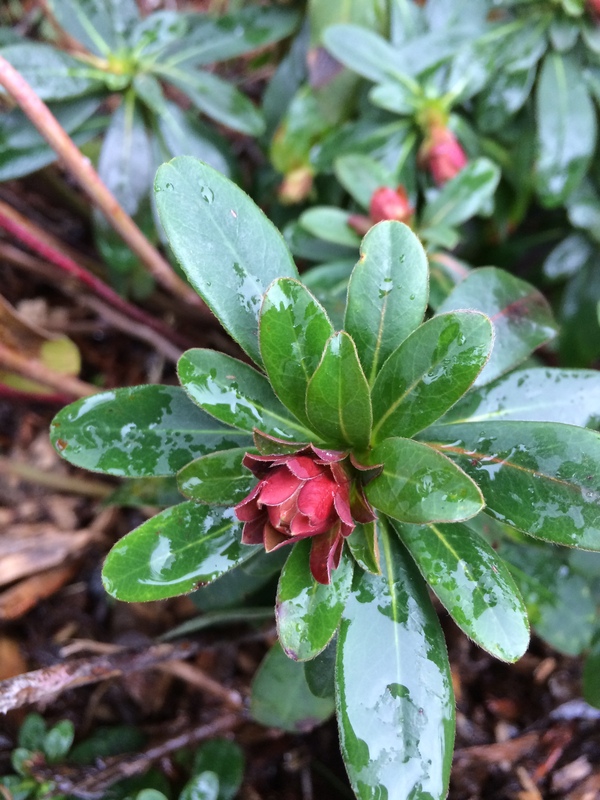 I would love to have suggested a dwarf skimmia for flowers, fragrance and rich green evergreen foliage, but the size of the container (8″ x 8″) just wouldn’t sustain a shrub, even a small shrub. 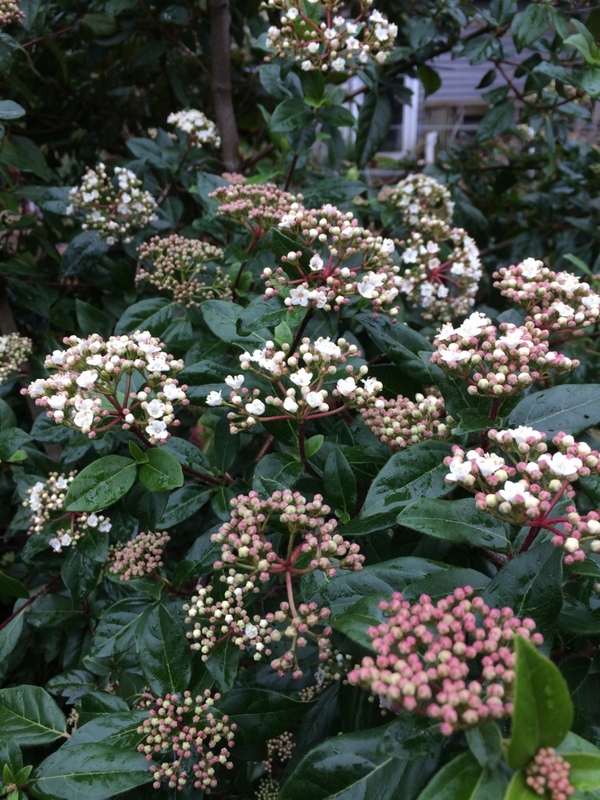 Too bad, a window box container is just a little too small for this dwarf Skimmia japonica–only 14″ tall and wide after 3 years. But the root ball is probably almost that size. We decided on a tall-ish grass for the far end. Several are happy in moderate shade, some of the Carexes, Deschampsia, others. 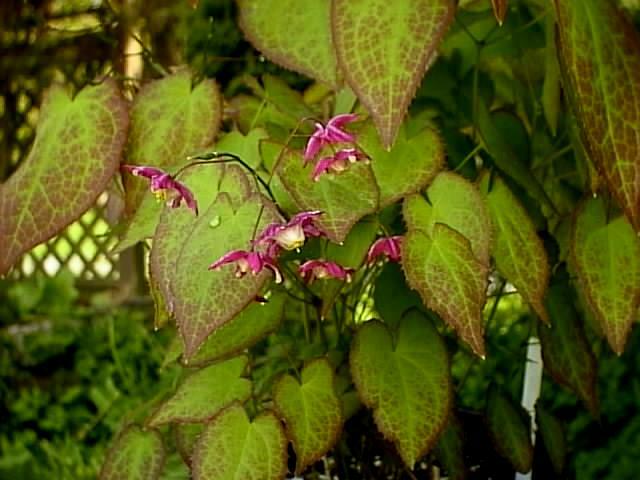 Then for a low-growing interesting-coloured plant, Epimedium. They loved the look of Brunnera ‘Jack Frost’, which is indeed a great plant for texture, with large heart-shaped leaves and splashes of silver, and tall airy flower stalks with tiny bright blue flowers. So that came next. 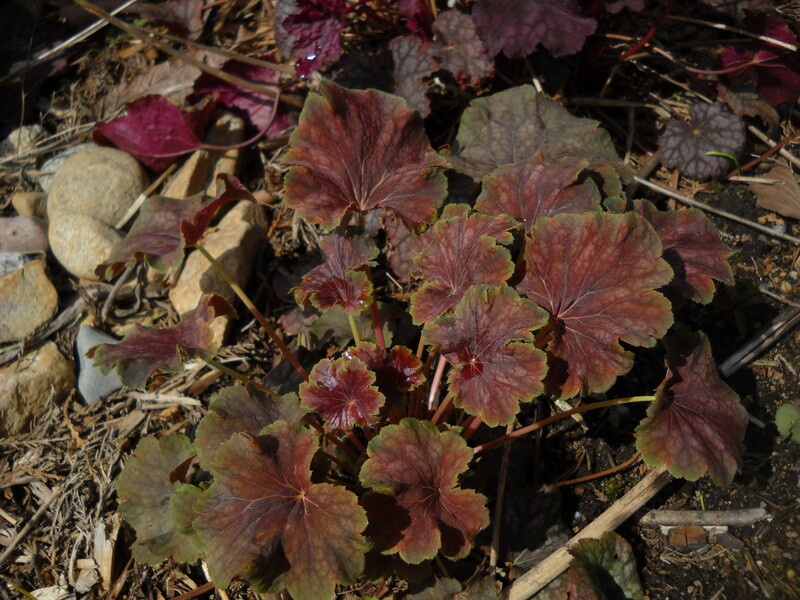 And altho’ the picture below doesn’t show it, the Brunnera we chose did have a slight golden rim on the leaves. 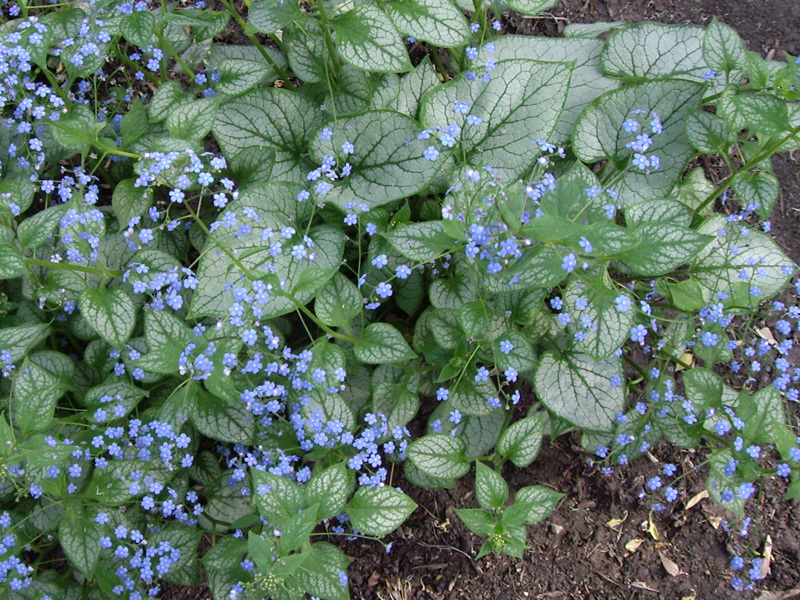 Brunnera macrophylla ‘Jack Frost’. Thanks to Northern Shade Gardening for the photo. 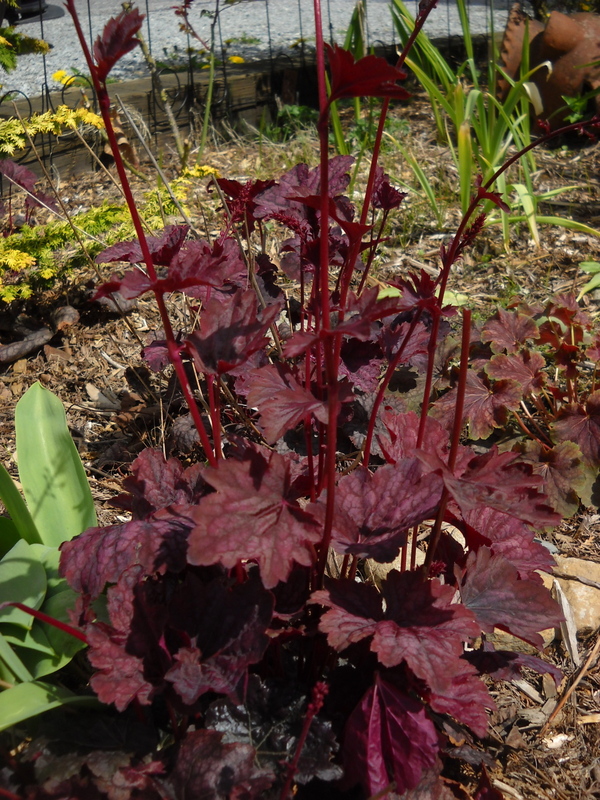 I’d also love some of the Heucheras, for much the same reasons, and in this case, a purple Heuchera would coordinate well with the flowers of the Epimedium and the reddish border on its leaves. 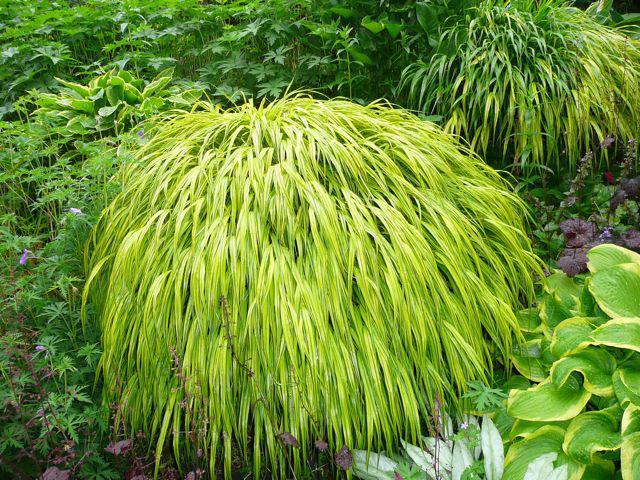 And then for the low-growing end, they chose Hakonechloa macra ‘Aureola’, or Japanese Forest Grass, a rich-coloured grass that looks a lot like bamboo, if bamboo weeped over the edge of a container. 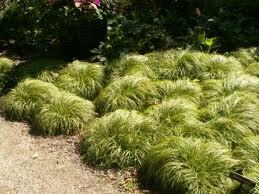 Hakonechloa macra ‘Aureola’. Photo Credit. So you see, no shortage of colour, just not a lot of flowers. 1. 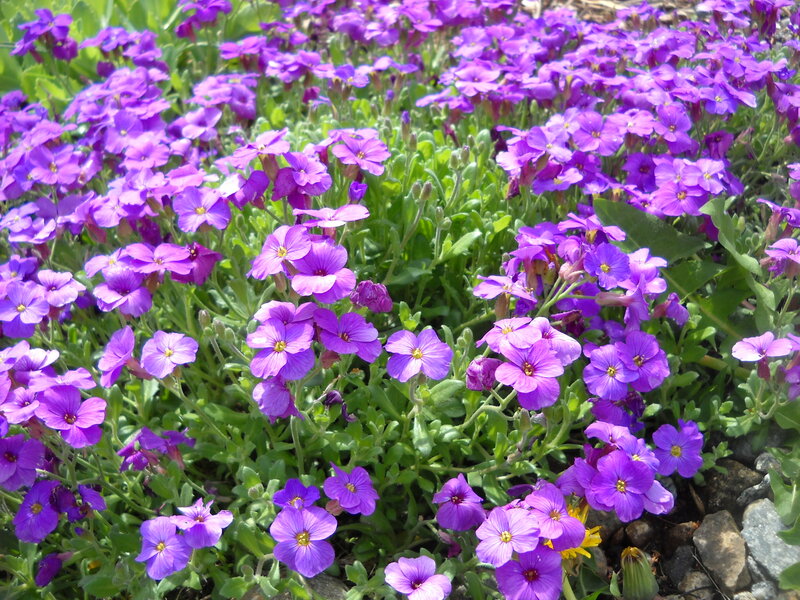 If you must have non-stop flowering, go for annuals. 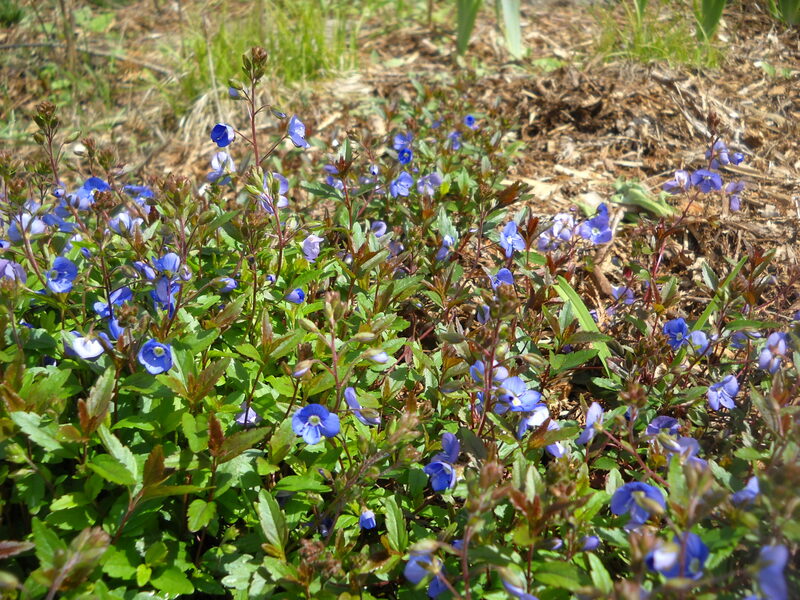 Petunias, Lobelia, New Guinea Impatiens, lots more. 2. 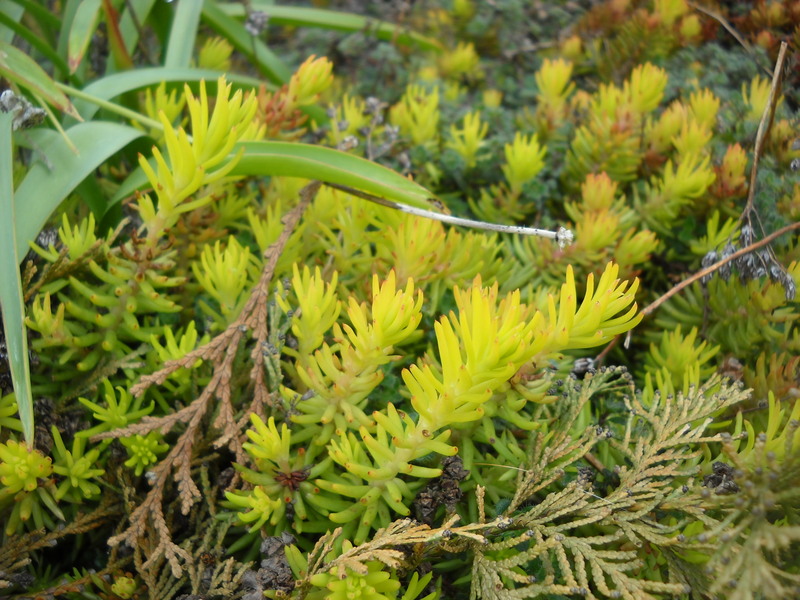 Colourful foliage is just as good for providing colour. 3. All containers need to be (fed and) watered, the smaller the container, the more frequently it needs watering! Hoping for enough rain won’t do. 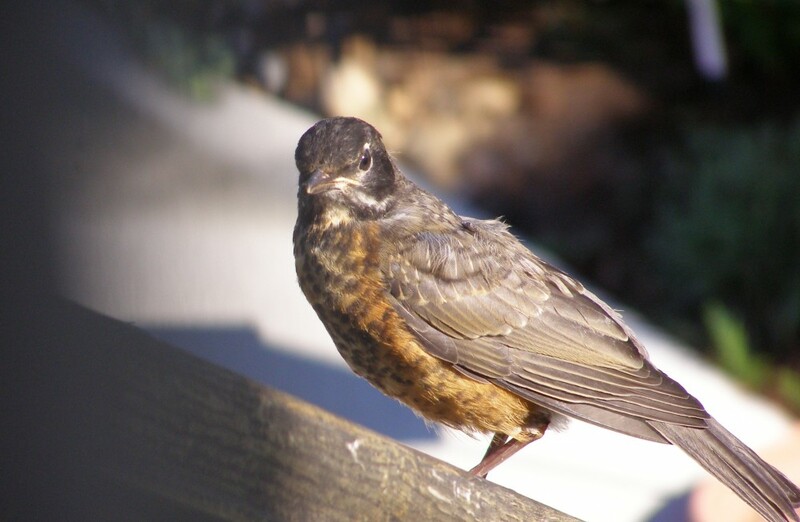 Leave your comments and questions here; would love to hear what you’re doing with your window boxes.